Happy New Year! 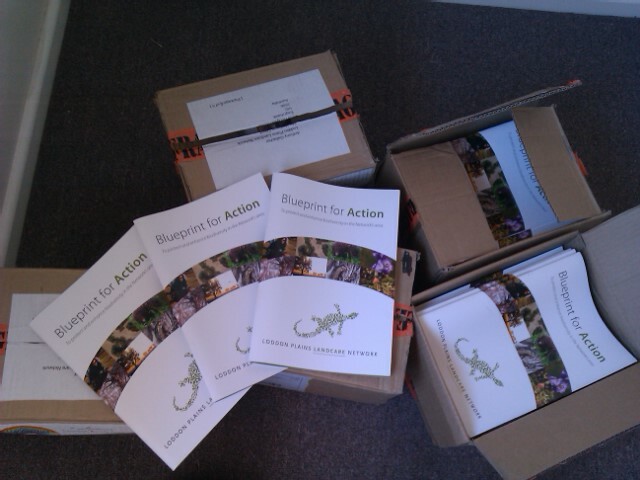 The Loddon Plains Landcare Network has taken shipment of 250 copies of our “Blueprint for Action”. The blueprint is the LPLN strategy document and outlines the network area, our focus, biodiversity elements and potential future projects through words, maps and photos. The completion of the blueprint is a milestone for the LPLN and is a testament to the hard work of many people from the network, with the ongoing support of the Norman Wettenhall Foundation. Groups will receive copies of the blueprint over the next couple of months.